There is a theory. A theory which states that all fiction has a basis in fact. That no idea is entirely original, but simply a divine glimpse into an alternate reality. A secret world, where legends live and breathe. This theory is not just a simple idea, but fact. And only a small percentage of the human population will ever glimpse beyond the veil. The veil between our world as we know it, a façade that has been so carefully constructed to keep humans safe, and the true world. The Metahumans see the world as it truly is. And they are its guardians. The Meta Game is an original superpower game, in which all characters have undergone an awakening, becoming metahuman. In this universe, there is a secret organization - referred to only has the Agency - that keeps tabs on all metahumans and preternatural activity. In this world, everything is true, and nothing is impossible. Upon an individual's awakening, they are recruited into the Agency and offered a deal. Have your newfound powers and memory wiped, and safely return to your old life unchanged - or, embrace evolution and join the Agency. As a member of the Agency, your entire world opens up. The secrets of the world's legends are at your fingertips; an endless supply of knowledge for you to study to your heart's content. Money, more money than you have ever dreamed of. Luxury, travel, and of course, power. You are given a shortcut to devoting your life to whatever it is you've always dreamed of. But in exchange, you agree to become a guardian, and fight to protect the world from things the average human is incapable of facing. When zombies rise in a Louisiana bog, it's you fighting on the frontlines. When aliens harass cattle in the English countryside, you're on clean-up duty. Some poor archaeologist has triggered the wrath of an Egyptian mummy's curse? It is your duty to send him back to the afterlife where he belongs. You will face creatures of every mythology, and stand triumphant. Thanks to you, the human world will never know how close they come to a new apocalypse each and every day. It can be a thankless job, but hey. It's a living. And at least you don't pay taxes anymore. You're at a birthday party for your friend. She brought a game, but she can't remember where it came from. You and the others set the board and roll the die. Then everything changes and you're playing the game for real. You can't leave until you face your deepest, darkest fear. Something you haven't told anyone. Something that makes your blood run cold and your muscles tense. This a game for the Shadow Men, but not for you. The only way to win is to overcome your nightmare and make it to the top of the dollhouse. You're not alone but that's not a guarantee for survival. The clock is ticking. You only have until sunrise to finish. Paper House is a limited-run original character role playing game based on The Forbidden Game trilogy by L. J. Smith. The game will run over the course of 24 weeks. It is a writing-heavy survival game. The game will commence once we have a minimum of 6 characters. Applications will close 4 weeks after. When your eyes open you're staring up at an unfamiliar ceiling. The world is hazy and you feel as though you’ve been in this place a long time. Slowly, awareness filters in. You’re lying in a strange bed, an IV in your arm. You wear a hospital gown and a bracelet identifying you as a subject number. Not patient. Subject. This is all wrong. You sit up and take in your surroundings. You are in a room tailored to your tastes. With a jolt of alarm, you realize a camera points at you from the ceiling. You are being watched. On the floor near the bed sits a cardboard box. Slowly you make your way to it and find whatever clothing you were wearing last. You remember now. You’d been going about your daily life when someone approached you. You had a moment’s warning that you were in danger, and then—nothing. You opened your eyes and found yourself staring up at fluorescent lights. Something vaguely like a hospital room. The feel of restraints upon your wrists. Those restraints are gone now. There's nothing else for it: you must open the door. Mount Zenith is an original psychological horror game centering around the abduction of a seemingly random group of people, and the experiments they are subjected to. Every day the characters will be tested against strange scenarios and harsh stimuli. They will have no choice but to live and work with one another in the strange town they have been placed in. Play by the rules and be rewarded. Refuse, and be punished. They have no contact with their captors, but one thing is apparent: escape is impossible. Willow Creek, OR is a GPSL that focuses on a group of supernatural individuals just trying to live normal lives. Can a bunch of witches, vampires, and shapeshifters get along with their (clueless) human neighbors? Only time will tell. The Archangel Michael has been under a lot of pressure for...well, his entire existence. Still, it was a hell of a shock when he walked off the job, choosing to join Lucifer's side instead. With his ancient nemesis out of commission, Lucifer has been picking off his favourite island holiday spots, one by one: he started with Ibiza, swarming the late-night party crowds with demons. City after city went down, with armies of demons possessing the locals. Lucifer's not slowing down. Who's gonna stop him? Well, it's not going to be God. The Almighty isn't taking calls. Montreal is the next city on Lucifer's list. Home to a 17th-century vampire coven, a wealthy and powerful nephilim family, and a secret society of exorcists, the City of Saints has a dark underbelly, but it's here that the remaining archangels are taking a stand. Join the forces of good, or revel in the chaos. This could get messy. Opening soon, accepting apps now! Nab something good right away. Hobb's End, a rural town that cannot be found, not unless someone or something wants you to be here. Even so, no one is welcome here. Very few people wish to stay, and while nothing is stopping anybody from leaving, not one person seems to get very far. Those who try to leave are faced with endless roads, never-ending woods or cornfields. This isn't entirely true, because after some time, be it minutes, hours or days, the individual reappears in town: or worse. Their location often changes, and the same can be said for a newcomer's arrival. Some are found wandering in the Marshlands; some wind up in a ditch; and others wake up in a bed. Stories have been told of buildings that have an unusual effect on tenants, while other buildings seem to choose who is not welcomed inside. Hauntings or not, these can't compare to the other phenomena. Something is in control of the town and the surrounding farmlands, let alone the townsfolk. Who or what it is doesn't matter, but rather, why does it want with the townspeople? You're not welcome in Hobb's End. Wanted: MCU's The Guardians of the Galaxy, Guy Ritchie's Sherlock Holmes, Final Fantasy IX, Once Upon a Time, DC Batman / Rocksteady's Arkham series, Danganronpa:Trigger Happy Havoc. 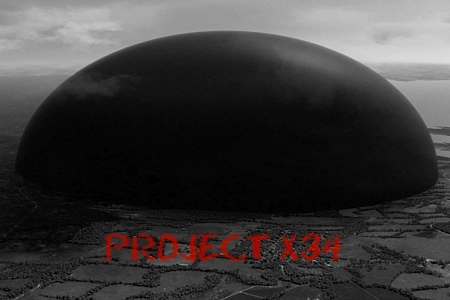 The United States government has requisitioned a team of top scientists from across the country to work in secret on a classified experiment now known as Project X34. The goal of the experiment is to figure out how to genetically modify humans in a permanent fashion, keep the subjects from perishing due to modification complications, and to fully test the functionality of each modification using different scenarios in hopes that they will be able to implement the procedures into specifically chosen, small, squadrons in each branch of the military. The general public has no knowledge of this experiment nor will they in the future. Subjects are chosen at random and just seem to disappear off the face of the Earth, never knowing exactly why they have been chosen for such a project. To prevent subjects from going rogue, and to keep an eye on the status of each subject through each scenario, each group is placed into a large-scale dome-shaped area that is inescapable complete with twenty-four hour continuous surveillance by cameras that are unable to be discovered. The first six experiments of this nature have failed; seventy percent of test subjects in each dome expired due to effects of their mutation, twenty percent due to scenario testing, and the other ten percent were properly disposed of by those running the project. This is their seventh and final try before the project is restaffed and the scientists themselves are disposed of to prevent information leaks. They have tweaked their formulas and testing procedures and have decided that by focusing on smaller numbers there was a chance of a much higher survival rate, though they do not expect all subjects to last for the duration. Sixteen people have been selected from various locations though it is unclear to participants if there is a link they all share or if they were chosen by sheer chance and misfortune. Some were kidnapped off the street; some came from places where they were being held against their will. In a place where survival is key, do you have what it takes to last through Project X34 or will you be among those considered failed experiments? It's not just the roads and woods that have a strange effect on people. Rumours have been told of buildings that have an unusual effect on tenants, while other buildings seem to choose who is not welcomed inside. Hauntings or not, these can't compare to the other phenomena. Hobb's End, a Horror-themed multifandom rpg! We have pre-mades with existing connections in game. Original Character Welcome. Late in the Victorian era,the tightly held beliefs started to crack by the perfunctorily of moral disillusion. Anything that could get under and let loose the suffocating principles became a welcome, yet often, secret delight. This was the era of peace, of success, of industry and dark perversions. This, the Dark Era, where magic and mystery were cherished, celebrated and even respected becomes our stage for apocalyptic creativity. It's time to face the darkness. We thought that the end of the world was the worst thing we could live through. We were wrong. 250 years ago, society collapsed in fire. Nuclear missiles rained down on cities, soldiers fought in the streets. Bombs and terrorists and disease ran rampant, leaving the former world in ruins. Entire countries vanished overnight, while others limped into a slow death, and began to fade away. Small bands of survivors tried to make it work among the devastation, but few made it, succumbing to fallout, radiation, the remnants of plagues or the reavers of the new world. Eventually, even they went quiet. Some saw the end coming before it did, and prepared. They went into shelters, deep in the ground, only emerging when it seemed safe. But their supplies couldn't last. When they came into the world, they took over the ruins of London, now known as the Hollow, building walls thirty feet high and creating a new society. Life was hard in the new world, though. Our technology was primitive, scavenged and bolted together from the last advances before the Earth ceased to be. Food didn't grow, plant life was scarce. Even the sky was tainted by what had come before it, the rain now burning what it landed on, the wind carrying viruses we'd never seen before. 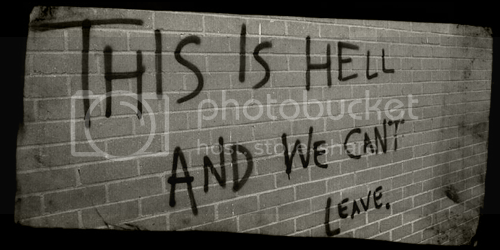 The only way to manage the city, which as far as they knew was the only bastion of civilisation left, was control. Thus, the new society fragmented into component parts, each working towards a common goal. The Rangers would be repsonsible for going outside of the Wall, searching for food, technology, anything to help us survive, and for charting the bizarre new life developing n the wasteland. The Guilds would manage the industrial, agricultural and commercial life in the city. The Sages would maintain the knowledge of the city, and see to the health of its citizens. The Justicars would enforce order among the populace, and the Divine, always there even in the darkest hours, would see to the spiritual needs of the people. A governing council drawn from all parts of the city would oversee its civil operation. The city has been here for over 100 years now, and we are the next generation. We're free within the bounds of the Hollow, but we all have to follow the rules. Otherwise, we're cast out, and become the Forgotten, exiles doomed to a short, brutish life beyond the safety of the Hollow. For many, there is nothing beyond the walls. For others, we wonder if there could be something more. Fade Away is a play-by-journal role-playing game. Players take on the role of a character and interact with other players through creative writing, or role playing, of various scenarios. Posts can be written in a solo, bilateral or group fashion. The genre of Fade Away is, broadly speaking, science fiction, with a heavy post-apocalyptic bent. Crescent Cove, Maine. A coastal, maritime city with hundreds of years of history, established industry and a typical, if isolated, east coast city. Beneath its outwardly normal appearance, though, it harbors dark secrets. The real city is the one seen in the corner of your eye, the momentary reflection in the mirror, the feeling of being watched on a lonely street. Founded by witches fleeing the horrors of the Salem witch trials in the 17th century, the city has always been a beacon for the supernatural. Today, vampires, werewolves, witches and other things without names live, work, plot and scheme alongside each other, not always aware of the other but always just under the notice of the mortal world. On the fringes, mortal hunters stalk the magical and the monstrous relentlessly, driven by obsessions both pure and tainted. Greater powers, still, influence events, and an impending feeling of fate hangs over the old buildings and creaking docks of the city. Bound Secrets is a play-by-journal roleplaying game (RPG), with an urban-fantasy setting. It features daily activity, original storylines and an open-world format. We look for quality plotting, intelligent characterization and creativity in our players, ones who are willing to help build a fun, enjoyable story and community through active participation and friendly interaction. The game is managed by mods with decades of collective experience, and receives frequent updates in terms of species on offer, locations, plotlines and more. We always welcome new players - check out the information provided, and if it sounds like something you’d enjoy, fire off an application or contact one of the mods if you have any questions. When your eyes open you're staring up at fluorescent lights. The world is hazy and you feel as though you’ve been in this place a long time. Slowly, awareness filters in. You’re lying in a hospital bed, an IV in your arm. You wear a hospital gown and a bracelet identifying you as a subject number. You are not in a hospital room. You sit up and take in your surroundings. The hospital bed is in the exact center of a small room. The floors, ceiling, and three of the walls are solid, bare concrete. The fourth wall is one-way glass. You can’t see to the other side, but you know you’re being watched. The only other thing in the room is a small cardboard box. Slowly you make your way to it and find whatever clothing you were wearing last. You remember now. You’d been going about your daily life when someone approached you. You had a moment’s warning that you were in danger, and then—nothing. You opened your eyes and found yourself staring up at fluorescent lights. Why are you here? Who else have they taken? Who is it behind the fourth wall? Project Apex is an original psychological horror game centering around the abduction of a seemingly random group of people, and the experiments they are subjected to. Every day the characters will be tested against strange scenarios and harsh stimuli. They will have no choice but to live and work with one another in the strange, labyrinthian complex they have been placed in. Play by the rules and be rewarded. Refuse, and be punished. They have no contact with their captors, but one thing is apparent: escape is impossible. Multiple character slots and archetypes recently made available. Grab a spot while they last!